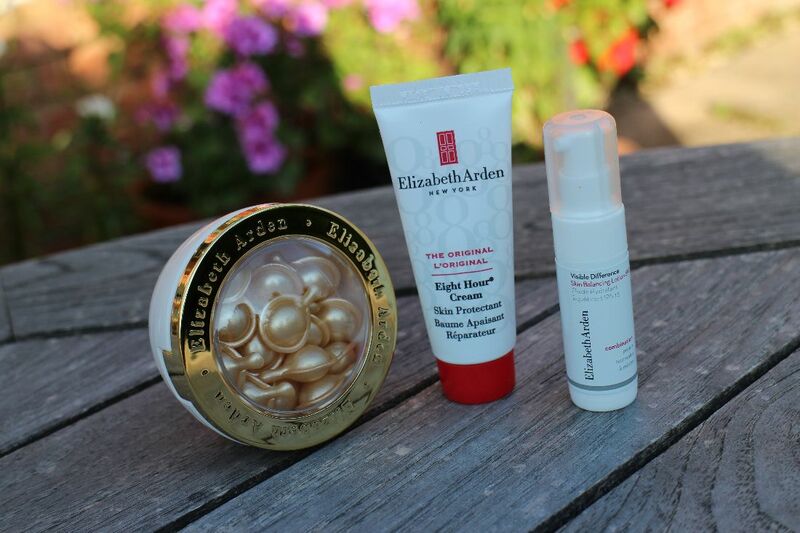 With Summer on our doorstep and bright and fresh looking skin being every girls wish, I thought it would be fun to share with you three hot picks from Elizabeth Arden that I think are perfect to help ensure perfectly nourished skin. The products that have made it to the top three are Elizabeth Arden's trust Eight Hour Cream, Visible Difference Skin Balancing Lotion SPF 15 and the Ceramide Gold Ultra Restorative Capsule Intensive Treatment for Face and Throat. This product certainly lives up to its hype that it has received for so many years that it is one of those products that certainly deserves a permanent place on any beauty lovers shelf. It is an award winning cream that helps to calm, protect and hydrate skin for as I am sure you have all guessed 8 hours as the name suggests. I like to use this on any dry patches, any pesky blemishes and for moisturising my lips. It really is a great all around product and helps to ensure my skin is in tip top condition. The Skin Balancing Lotion has been my go to daily mosturiser at the moment as it is lovely and light whilst being nourishing for the skin as well as having the added benefit of an SPF. Personally, I try and ensure that I use an SPF everyday to try and protect my skin from sun damage so I like to use this under my foundation which also has SPF. Although I do really like this product, I wouldn't advise using this solely as an SPF as its SPF is on the low side. However, as it is an oil free formula, is light weight and non-comodogenic, I believe it would suit most skin types so if you are looking for a new daily moisturiser that will help balance your skin then I think this one would be a great choice. For those of you looking to protect your skin from ageing or looking for a little extra luxury on your Summer pamper evenings then Elizabeth Arden's Ceremadie Gold Ultra Restorative Capsule Intensive Treatment for Face and Throat might be for you. These little gold capsules claim to work to minimise the appearance of fine lines and wrinkles as well as retexturize the skin for softer and smoother looking skin.